Congratulations to my former MKTG 384 students for recently winning the Fall 2014 Direct Marketing Association of Washington Educational Foundation’s Collegiate Maxi Competition. 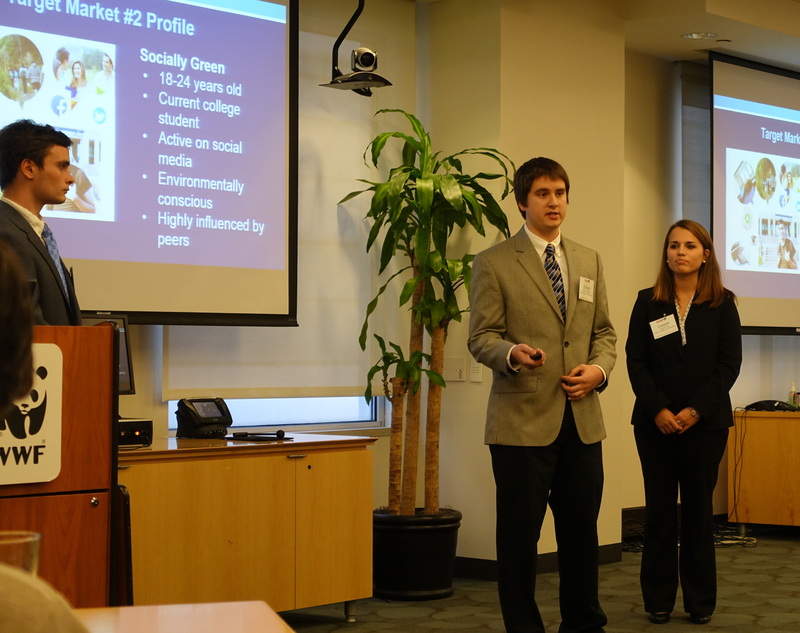 The team of Lauren Crain, Dan Frohelich, and Patrick Shamburger developed and presented an integrated marketing communications plan for the World Wildlife Fund’s (WWF) Earth Hour, an annual event where people are encouraged to turn off all lights for one hour in March. 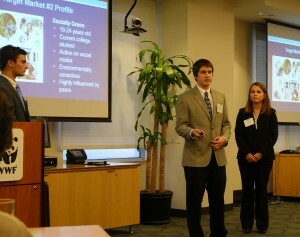 Lauren Crain, Dan Frohelich, and Patrick Shamburger presenting their “Earth Hour” Campaign at the World Wildlife Fund Headquarters. While I am extremely proud of this group for winning the top award, I’m even more happy that they did the work for no course credit. It is always a pleasure to work with students who invest their extra time into projects because they genuinely want to learn more about marketing. Thank you to Lauren, Dan, and Patrick for giving me an opportunity to be your coach. To learn more about this amazing team, please visit this JMU story about Marketing Students Taking First. 2 Comments on "Lauren Crain, Dan Frohelich, and Patrick Shamburger Win Gold in the Fall 2014 DMAW EF Collegiate Maxi"